Oh My Melon 3- Back to the Rind | Food It Yourself! I am still playing around with watermelon rind as a fruit/vegetable, and I am having a great time with it. I have discovered that a light steaming makes the rind soak up a marinade like a mildly sweet sponge. The easiest way to steam is, believe it or not, in the microwave. Transfer your rind to a microwave-safe container with a lid (leave it a little bit ajar to vent excess steam) and microwave for 4-5 minutes. Then let the container rest in the microwave for another 5 minutes. It’s cooked when it has the texture of a dill pickle. Then add a marinade-ANY MARINADE- and chill for a bit, and enjoy. The Cancer Council of New South Wales, Australia has addressed this issue very well. The USDA has a one-page primer on how to microwave things. The last section addresses containers and food wraps suitable for microwaving. Harvard Health Publications (yes, that Harvard) also has a statement about microwaves and plastics. 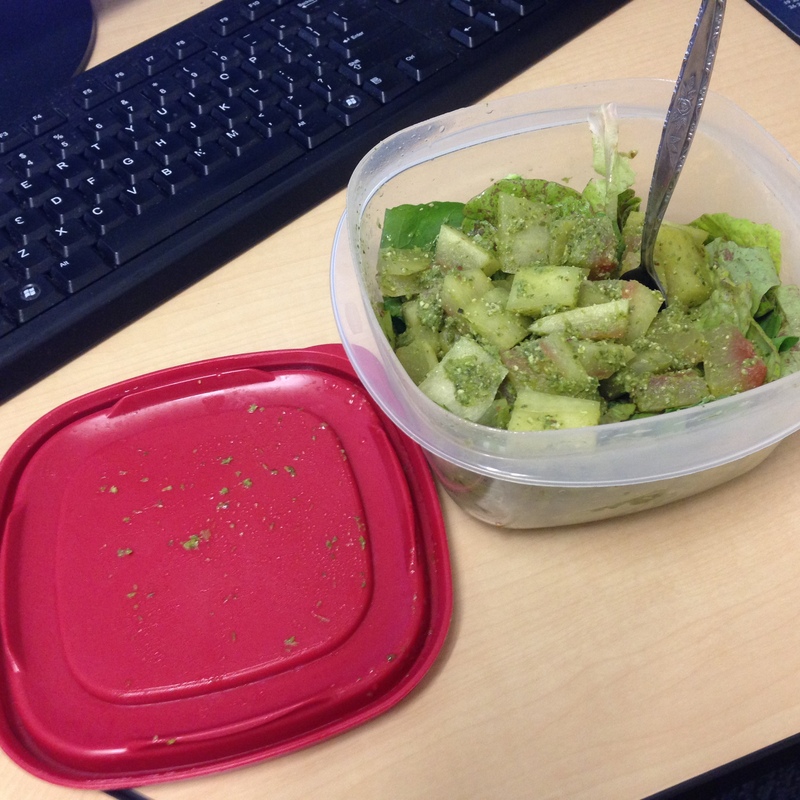 So, as long as the correct plastic containers and wraps are used microwave ovens will not lead to your demise. This makes me very happy as the microwave is my favorite appliance for steaming veggies. So, what marinades have I tried? Here are two, and I plan to try more! 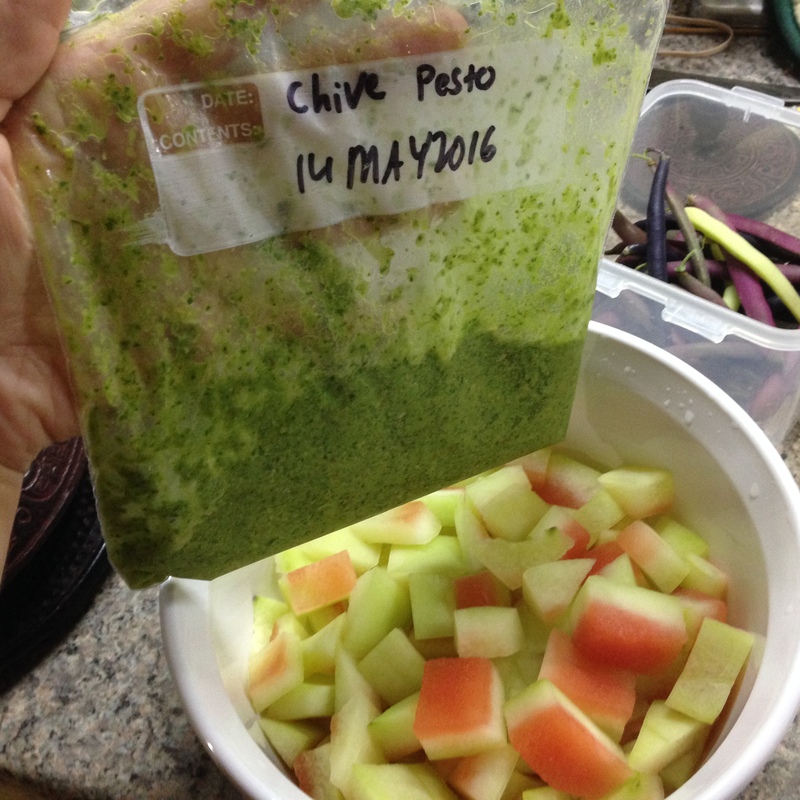 That’s right, I still have some chive pesto in my freezer from the beginning of chive season. Also, if you are wondering, it is still chive season. After an overnight nap in the fridge covered with pesto I had the best lunch in the office- melon rind on heirloom homegrown lettuce. Want to keep it simple? Douse in your favorite vinaigrette (I like that Italian dressing that comes in an envelope) and add some diced cucumber. 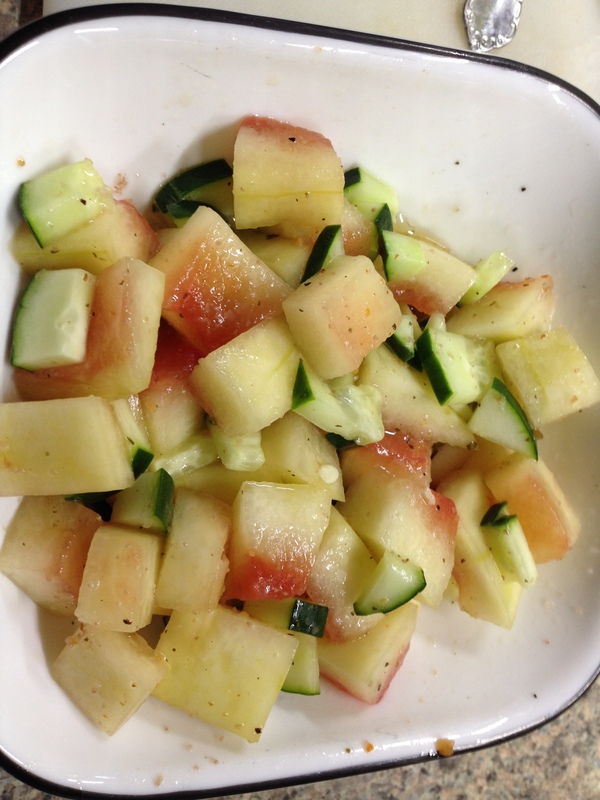 Marinated melon rind makes for a delicious and different salad. I really think the hint of melon-ish sweetness is what makes it such a nice change from the typical greens/cucumber/tomato routine. Have you tried some watermelon rind it yet? Well, why not? Watermelon season is really short (at least in central New England). We are just over a month away from pumpkin spice season, so take a big bite of summer while you can.